There’s a lot that can be said of a mid-size sedan with BMW DNA, but most of it you have probably already inferred. Does it drive well? Of course it does. Is it properly luxurious on the inside? You bet. Does it have the new iDrive? You know, the one that doesn’t inspire fits of rage when you attempt to accomplish the simple task of setting your iPod to random shuffle? Well no, it doesn’t, but we’ll get to that. The brilliance of the 528i lies in the way it combines BMW’s famous chassis dynamics and characteristic inline six-cylinder engine with an elegant, comfortable interior. While the V-8-powered 550i enjoys a healthy amount of good press, we can’t say it’s strictly necessary in any way. With its 3.0-liter inline six, the 528i is hardly wanting for power. The engine is content to rev, and putting your foot in it and watching the tachometer chase the redline is arguably more engaging than the low-end torque provided by a V-8. And with a six-speed manual transmission, it has a fantastic amount of tactility that few cars are able to maintain today thanks to the increasing use of electronics and ever-wider tires. If you’re looking for a sports sedan that proves V-8s are overrated and driver involvement hasn’t gone the way of the Ancient Bison, this is it. The seamless blend of driver involvement and functional luxury makes the 528i a car for both driving enthusiasts and suburban errand runners. There is plenty of rear legroom so you’re unlikely to hear any full-grown adult complain about being cramped in the rear, and trunk space is plenty cavernous as well. The availability of a manual transmission is nice in a segment that is increasingly becoming automatic-only. Unfortunately the original iDrive remains in the 2009 528i, and it’s still as painfully illogical as it was on day one. Despite the fact that it has been around for a number of years now, 5-Series exterior styling still isn’t for everyone. Options aren’t cheap and no one will want a bare bones stock model. BMW’s iconic inline six-cylinder lives on in the 528i and lives up to its rev-happy, ultra smooth reputation. With a manual transmission, the car is a joy to drive, providing all the throttle response you could hope for and crisp yet gentle gear changes. The steering is everything we’ve come to expect from BMW – which is to say, fantastic, ultra accurate and rife with feedback. Well, richer in feedback than anything else in the segment, at least. Keep the engine above 5,000 rpm and you can even get the tail to step out ever so slightly, proving that 230 horsepower is still more than enough to motivate a 3,500 lb sedan. Remember, it wasn’t all that long ago that the M3 had only 240 hp. So long as you don’t opt for the M Sport package or huge rims, the ride is properly comfortable but still stiff enough to maintain a feeling of connection to the road. If you’re looking for a car that feels like it’s gliding down the road on a cloud, look elsewhere. The 528i is powered by a 3.0-liter inline six-cylinder engine that pumps out 230 horsepower and 200 lb-ft of torque. You have to rev it to make the most of it, but that’s all part of the fun. A six-speed manual transmission comes standard, driving power to the rear wheels, and a six-speed automatic Steptronic is available. 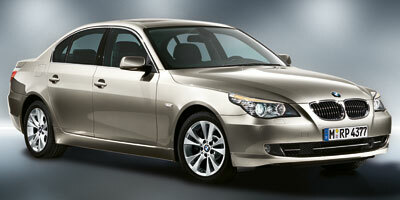 An xDrive all-wheel drive model is also available. If you don’t mind the rougher ride but really like to go out and flog your luxury mid-sizer from time to time, give the M Sport package a look. For a rather steep $4,500, it adds active roll stabilization, sport suspension, an aero kit, M steering wheel, multi-contour seats and plenty of shiny metallic paints and interior trim. BMW’s iDrive system comes standard, and while we’ve heralded the new version as a substantial achievement in usability, technological integration and, er, common sense compatibility, the 528i remains stuck with the old system. Still, even the old iDrive works great with iPods (track shuffle activation notwithstanding), and once you get over the learning curve it’s easy enough to live with. One of the big bonuses of the 528i comes in the fuel economy department. The manual transmission car returns an estimated 18 mpg city, 28 mpg highway, while the automatic doesn’t take too much of a hit, with highway fuel economy falling to a very respectable 27 mpg. If simple and neat is your style, the 528i will not disappoint. Like all modern BMWs the interior is relatively straightforward, which will irk some and be just-so for others. Quality is apparent in all the materials, and the available Dakota leathers are particularly charming. The 528i has an elegant, modern appearance befitting of a modern European executive sedan, even if it does look a bit like a fish out of water from certain angles. And we mean that rather literally – it’s very streamlined. At 191 inches long it is quite a big car, but luckily it doesn’t feel nearly as massive from behind the wheel. 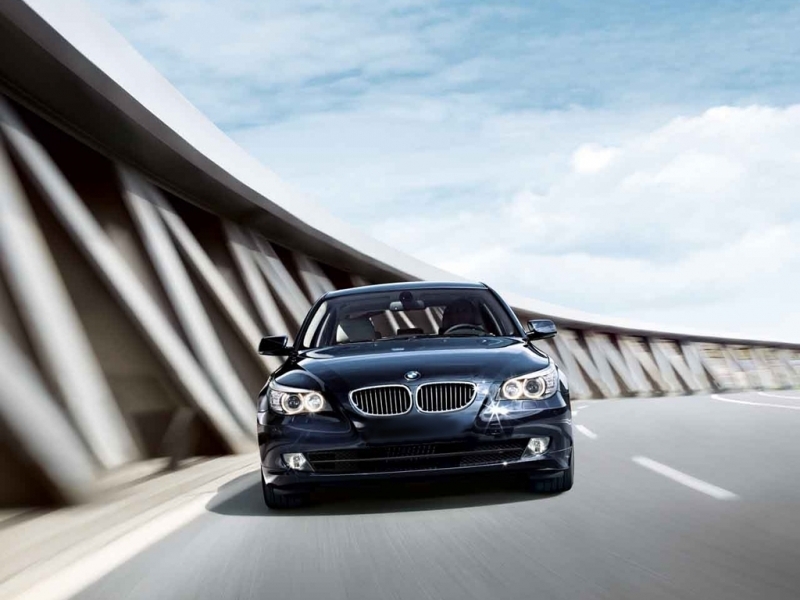 With a base MSRP of $45,800, the BMW 528i is priced within a stone’s throw of the majority of its competition. This includes the Lexus GS 350 ($45,000), Audi A6 3.2 ($45,100), Infiniti M35 ($45,800), Jaguar XF ($49,200) and Mercedes-Benz E350 ($53,200). If you’re looking for a modern German sedan with plenty of old-school mechanical charm, look no farther than the 528i with a six-speed manual. Brilliant it its execution and lightning-quick in its responses, this is the luxury mid-size car drivers will want when the road turns twisty.